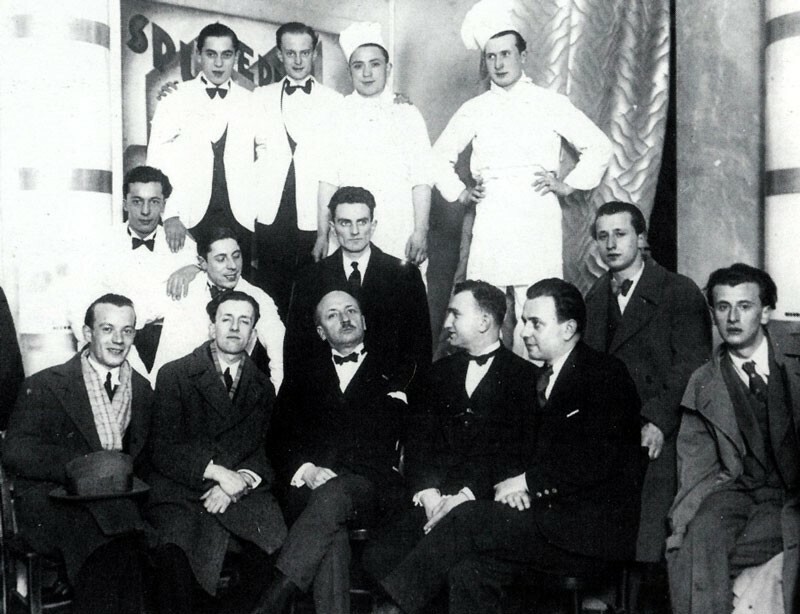 The ultimate aim of Futurist cuisine is the abolition of mediocrist daily life in the pleasures of the palate, represented above all by pasta, knife, and fork, to sublimate the kitchen in concentrated food in pills, suitable for a more airy and faster life. 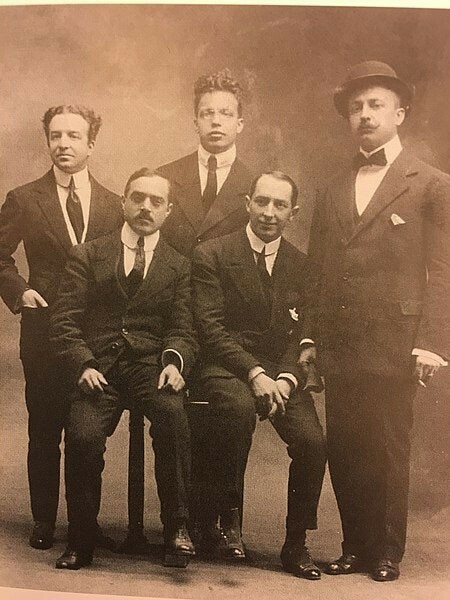 Filippo Tommaso Marinetti (1876-1944), extravagant poet, editor, and art theorist, was the founder of the Futurist movement. 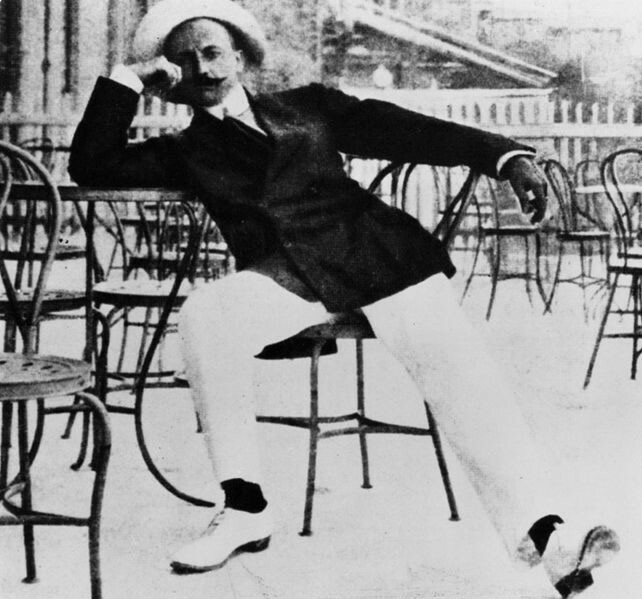 As part of his campaign to overturn tradition, Marinetti also attacked traditional Italian food. Waiting for the chemistry to fulfill its duty, that is “to give the body the necessary calories through powdered nutritional equivalents or pills”, here are some names of futurist recipes: the Dolcelastico, the Decollapalato, the Steel Chicken, the Carneplastic, the Colonial Fish at the Drum Roll, the Aerovivanda Fish, the Allrice, the Ultraviril, the Food Landscape, the Chickenfiat, the Sun Broth, Candied Atmospheric Electricity, Prairie servovolatine, the Raw Meat Stripped by the Sound of the Trumpet, the Anthropophagous Enroll in Geneva, Blooded Wood at Sunset. 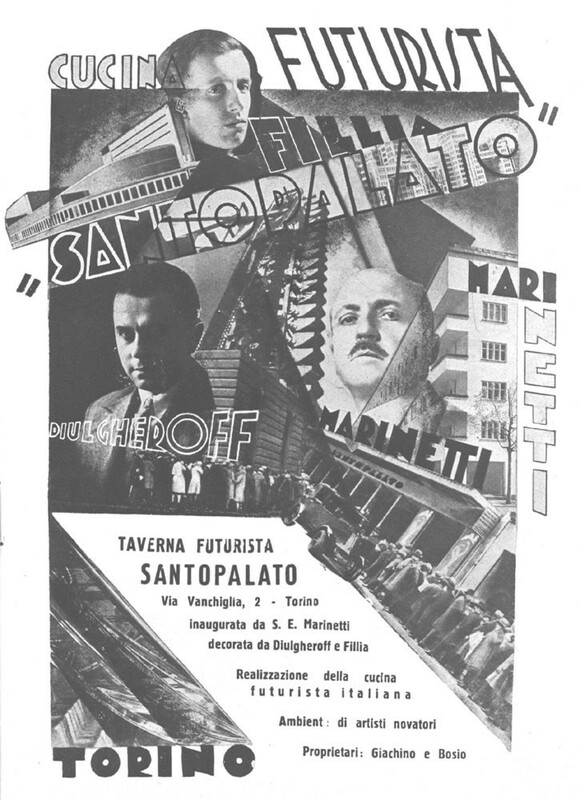 The lunches were presented during some elaborate events or restaurants created for the purpose, such as the futurist Bologna Airbus, Santopalato in Turin, etc. To prepare the Alaskan Salmon in the sun with Mars Sauce, take a nice Alaskan salmon, slice it and grill it with pepper and salt and good oil until golden. Add tomatoes cut in half, previously cooked on the grill with parsley and garlic. The edible plastic complex Equator + North Pole created by the furist painter Enrico Prampolini is composed of an equatorial sea of egg yolks with oyster and salt lemon pepper. In the center emerges a cone of whipped and solidified egg white glair with orange segments as juicy sections of sun. The top of the cone will be studded with pieces of black truffle cut in the form of black airplanes to the Zenith conquest. Beyond the political considerations that can be made, the book is really full of ideas between the bizarre and the brilliant as the ‘Autumn Musical Lunch’: “In a hunter’s hut half-hidden in a golden-bluish-green wood, two couples sit at a rough plank made of oak trunks. The rapid bloody twilight agonizes under the enormous tummies of darkness as under rainy and almost liquid cetaceans. Waiting for the peasant-cook, on the table still empty, the only food will be the whistle that the wind slips in the lock of the door, to the left of the eaters. the long and sharp groan of a violin sound will duel with that whistle, stretched in the right chamber by the farmer’s convalescent son. Then two minutes of chickpeas in oil and vinegar. Then, a quarter-hour silence during which the mouths continue to chew the emptiness. Then, a sip of Barolo wine held in the mouth for a minute. Then, a roasted quail for each of the guests to look at and smell intensely without eating. You can find the book here (in Italian). This book also inspired the experimental album of Mike Patton, ‘Pranzo Oltranzista’.